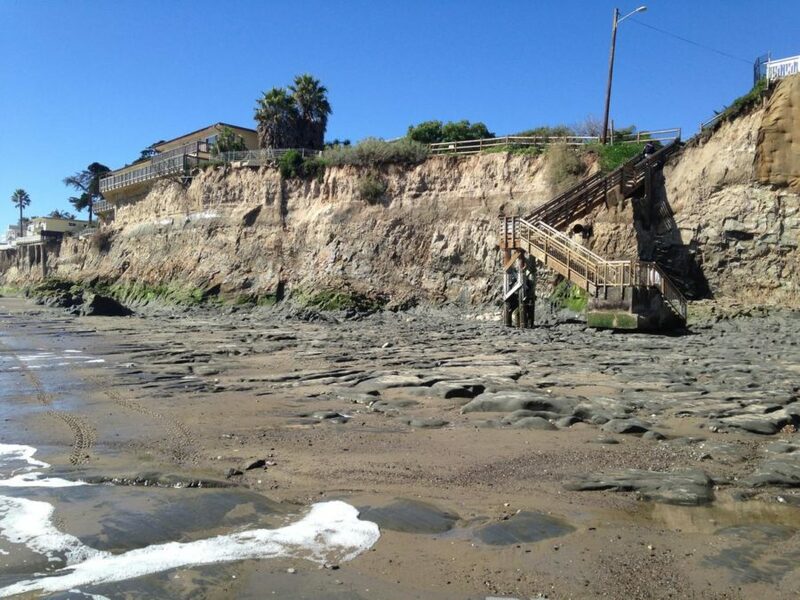 LOS ANGELES (CN) – Southern California may lose two-thirds of its beaches to rising sea levels by the end of this century, according to a report released Monday by the U.S. Geological Survey. The agency used a newly developed computer model and factored for limited human intervention into and a continued output of CO2 emissions in concluding that 67 percent of the beaches in the southern portion of the Golden State could completely disappear by the year 2100. “Beaches are perhaps the most iconic feature of California, and the potential for losing this identity is real,” said the study’s lead author Sean Vitousek, a former postdoctoral fellow at the USGS who currently works as a civil engineer in Chicago. The implications of such a widespread loss of beaches in California would not only have a dire impact on the region’s economy, but figures to have huge implications for ecology and wildlife as well. “Beaches are natural resources, and it is likely that human management efforts must increase in order to preserve them,” Vitousek said. And foreshadowing of such interventions and the battles they elicit are already underway. 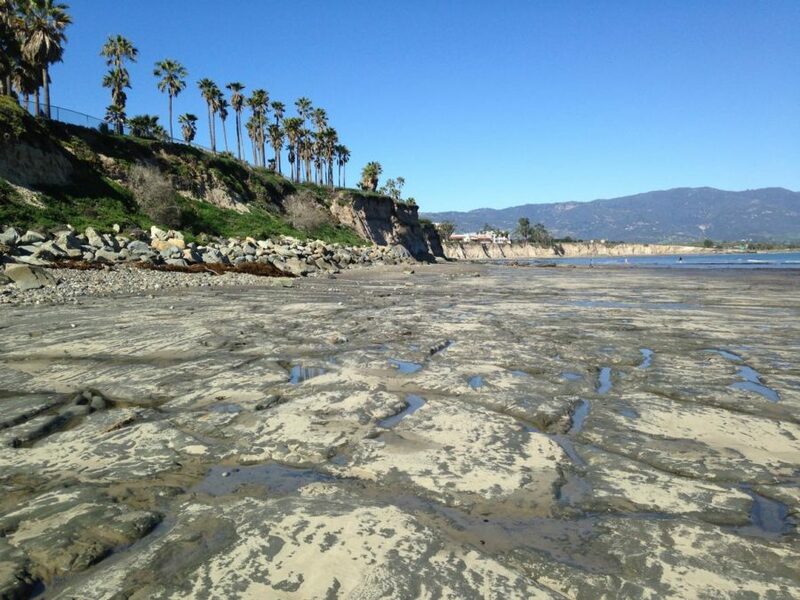 Ventura County is enmeshed in a legal battle with cities over a plan to transport 400,000 truckloads of sand from an inland canyon to Broad Beach in the city of Malibu. 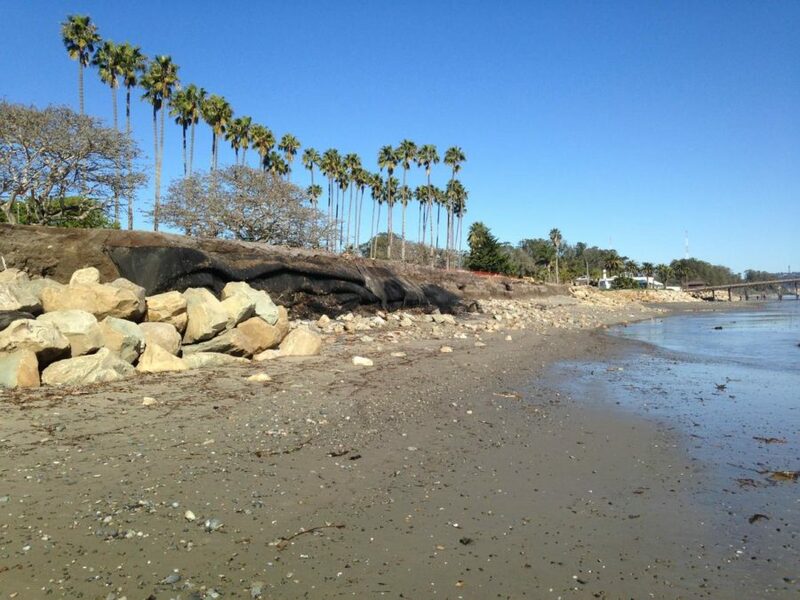 The California Coastal Commission has frequently heard from beachfront property owners and the associations and community groups that represent them about the immediate need to construct revetment walls in an effort to stop or slow the onslaught of the ocean. 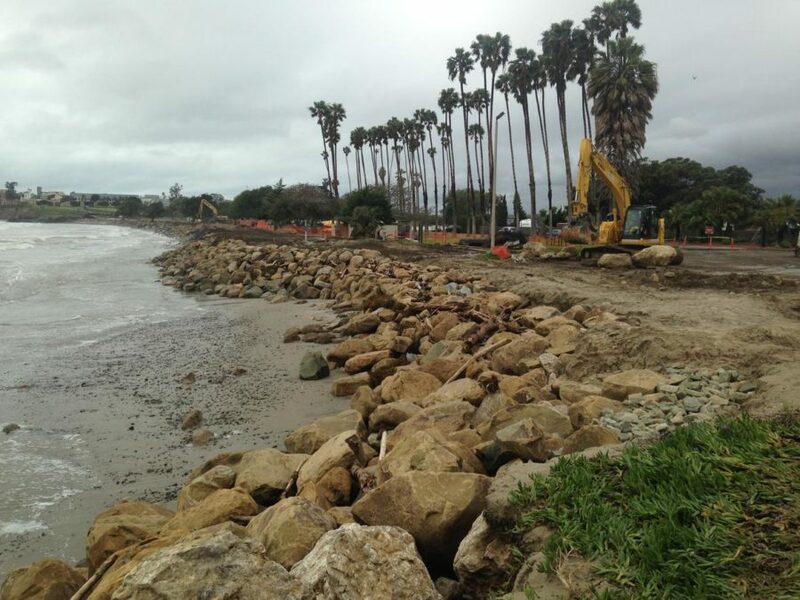 On the other hand, many nonprofits like the Surfrider Foundation assert the revetment walls are not only a costly waste of funds but they actually compound the coastal subsidence problems they are intended to alleviate. Coastal Commission Executive Director Jack Ainsworth issued a statement Monday in reaction to the study, saying more needed to be done by coastal jurisdictions to plan for and manage sea-level rise. 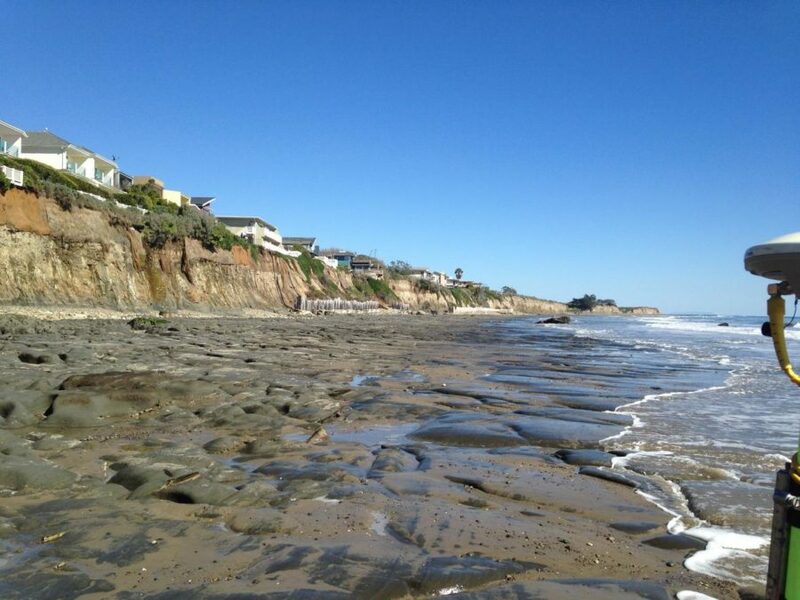 The coastal commission has spent time and money on the prospect of sea-level rise, developing the Sea Level Rise Policy in 2015 – a document aimed at helping local jurisdictions to incorporate current and potential impacts of a rising ocean on their land-use policies. The Pacific Institute, an Oakland-based think tank focusing on water resources, estimated in a landmark 2009 study that a sea-level rise of 4.6 feet would endanger $100 billion worth of property. This property includes seven wastewater-treatment plants, commercial fisheries, marine terminals, 14 power plants, homes and other important development and infrastructure, including the state’s iconic Pacific Coast Highway. In its literature, Coastal Commission planners estimate seas could rise by as much as 6 feet by the end of the century. The USGS study predicts a loss of 31 percent of beaches if seas rise by 3 feet, with the 67 percent figure derived from a rise of about 6 feet. Vitousek and Barnard used a model called Coastal Storm Modeling System-Coastal One-line Assimilated Simulation Tool (CoSMoS–COAST), which uses formulas to predict coastal erosion based on two factors: a rising sea and the increased storm pattern predicted to be a result of climate change. Part of the reason the researchers are so confident in the results is they used the same model with historical data from 1995 and found it accurately predicted erosion and accretion trends from then until 2010. California’s beaches are a mixture of the classic crescent-shaped sandy beaches, vegetation-covered dunes, bluffs, cliffs, estuaries, river mouths and other ecological variations, but the model was able to take this into account by focusing more on shoreline positions relative to waves and storm cycles. Ainsworth said the publication of the study and others like it prove Californians must take climate change and sea level rise seriously and act preventatively. “We must do everything we can to ensure that as much of the iconic California coast is preserved for future generations,” he said.